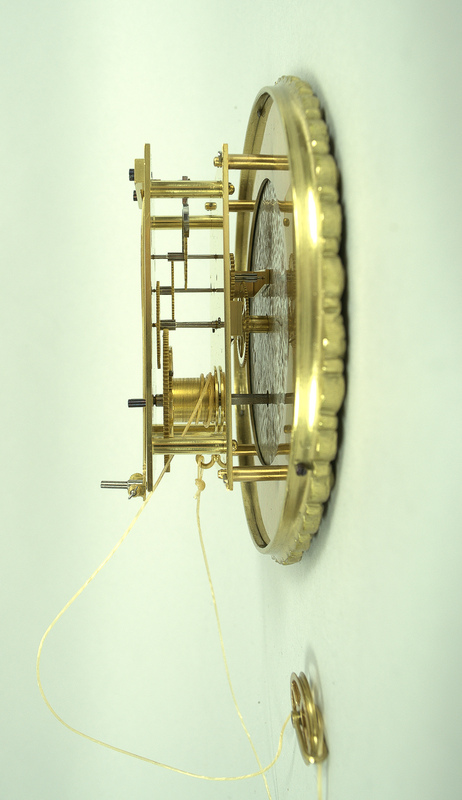 A fine quality miniature 8 day duration Biedermeier Viennese Regulator, circa 1850. 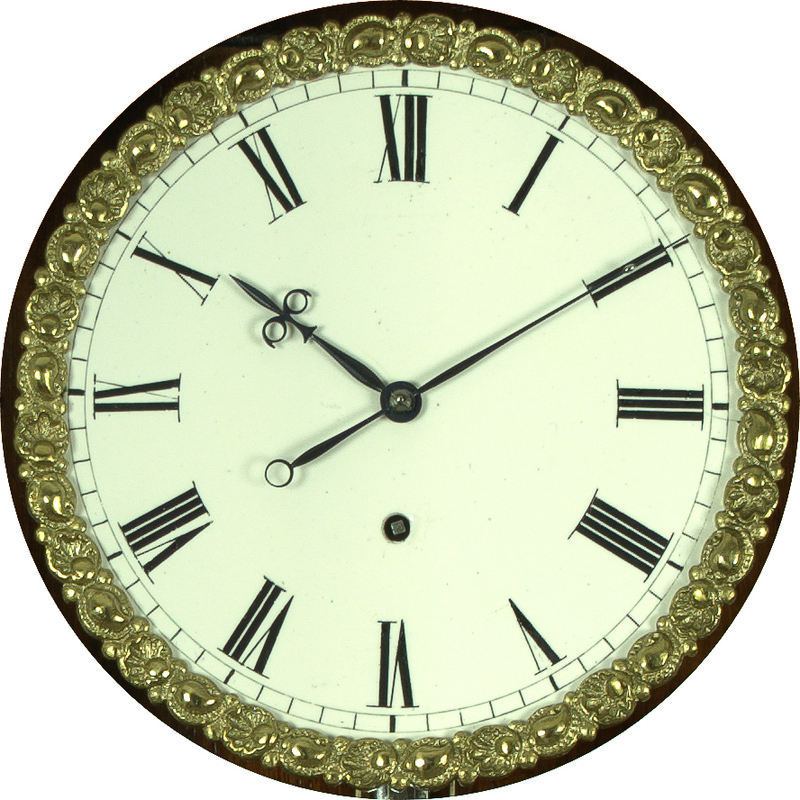 The beautifully figured rosewood case inlaid throughout with boxwood stringing, surmounted with a carved cresting with matching carving to the base. 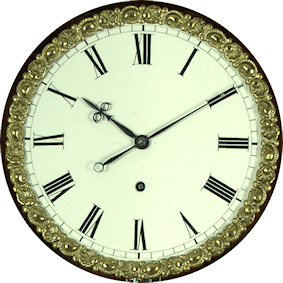 The one piece enameled dial with Roman numerals with gilded piecrust bezel. 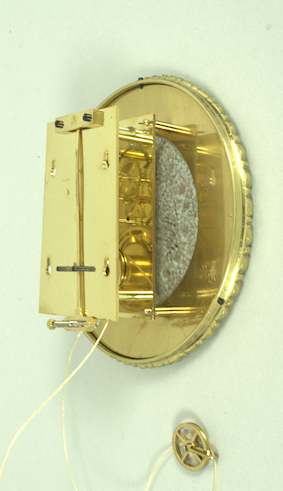 Polished brass cased weight , with ornate spoked pulleys, polished brass bob pendulum (front and back) with wooden rod. Extremely finely fretted blued steel hands of "beetle and poker" design.